Wix vs. Moonfruit: Which is the Best Free Website Builder? ​Do you know the best place to get started building a website for your business? As a novice in the world of websites, considering your options can be overwhelming. There are great tools for creating a free website that, generally, offer all-inclusive packages for getting your site up and running. Each of them can be used to help you build anything from a family website to an e-commerce store. But how do you know which builder is best for you? Most of the top-ranking website builders offer users a range of benefits and features that make it well worth your while to investigate them. Two of the top website builder sites are Wix and Moonfruit. But which is best? Let’s explore the range of available features and options that these providers offer. The pros and cons of each website builder will serve to highlight the relative strengths and weaknesses for newbies and seasoned professionals alike. Wix offers plenty of HTML5 templates, drag-and-drop features, and makes it easy to add images, videos, slideshows, and shopping carts to any site, and the Wix App Market lets you expand the functionality of your site quickly and simply. Moonfruit works with Flash technology, and allows for the full customization of Web templates via its drag-and-drop editor, that also includes graphic imaging software and a handsome selection of design templates. On the surface, both of the website builders offers a similar range of website design features. They are user-friendly, and they are designed to maximize visual appeal and functionality. But which one is best for you? Once we start exploring these websites in a little more detail, it becomes clear how they are distinct from one another. When choosing between Moonfruit and Wix, it’s important to keep in mind that Wix is great for novice web designers because it provides a one-stop solution for creating unique sites with lots of features. Wix impresses with its wide range of website building options, added extras, and publishing features. In a few seconds you can be up and running with your very own website – whether it’s for personal or business purposes. As one of the best website builder sites around, Wix also provides free hosting as well as many social media features. What’s really great about this free website builder is the HTML 5 functionality. This makes for stunning websites that can easily be customized to your expectations. If you’re a novice, you’ll certainly enjoy the fact that you don’t need to understand coding or have any design flair whatsoever. Anyone, anywhere can use this free website builder. Some users have made reference to suboptimal performance across smartphones, tablets and PCs – but this is likely to be remedied soon. Users laud the customer support offered at Wix. Plus, the Wix forum is a terrific go-to resource for all website builder-related queries. Let’s take a look at the other side of the Wix and Moonfruit comparison. Moonfruit offers a free website builder package, along with great paid packages that provide more functionality. The platform brings a powerful set of website building tools to the fore in its free website builder package. Even if you have limited knowledge of website building, Moonfruit allows you to easily create your own site using any of the many fine templates available. Like Wix, you get to enjoy a “What You See Is What You Get” (WYSIWYG) drag-and-drop editor. Flash functionality is built into the website platform so that you can easily see what you’re creating in real time. Since the website design interface is SEO friendly, you can rest assured that your site will be optimized for search engines. Your multimedia options are diverse, and you can easily add video, slideshows, pictures, and other rich content to your site. Analytics are readily available to you as the site manager. It’s nice to know that there also free advertising credits available with Moonfruit. Customer support agents are available across multiple channels and they are professional and courteous at all times. FAQs, contact forms, e-mail, and other contact options are available to users. So – which is the Best Free Website Builder? Wix and Moonfruit both have a unique appeal. These free website builder sites offer an impressive range of additional features to differentiate themselves from the competition. You may be looking for a website builder that is SEO enhanced. In that case, you will certainly find Wix much to your liking. It’s a great option because it makes it possible for anyone – with little or no experience in search engine optimization – to actually hit the ground running with a functional and stylish site. All Wix sites are optimized for search engines and you can easily take steps to delve even deeper into the SEO field. There is no need for a free trial period with Wix since Wix is a free website builder. If you need additional customization, there are premium plans available starting at $4.08 per month. Cost considerations certainly play a part in determining which website builder you want, but, with such low rates, these costs are not much of a factor. There are premium plans available with Wix, and prices can go up to $19.90 per month, so you will want to be sure of what you need before signing up for premium packages. Moonfruit is now available in KickStart Beta for users everywhere to enjoy. It’s really quick and easy to get up and running with Moonfruit. You can create an online shop, customize your template, choose your own settings and start selling in a jiffy. Moonfruit is fully optimized for social media integration on sites such as Facebook, and Twitter. Users can enjoy design control features for branding purposes, with a wide range of backgrounds, images, and templates. The HTML5-powered site is ideal for smartphones, tablets, and personal computers, as well as on social networking sites. Whether you’re using and Android smartphone or tablet or an Apple iPhone, iPad, or iPod Touch – you can expect to enjoy optimal results every time. The premium website builder package – KickStart Beta – essentially provides you with professional website development services. This includes a website built by professionals, a dedicated copywriter and designer, with two design revisions, hosting, and domain name, plus full control of your site and top-notch customer service. If you’re looking to go upscale, Moonfruit is grand. If, on the other hand, you want to easily setup your own site without all the bells of whistles of complete customization, you can certainly do that quite comfortably with the best website builder packages. 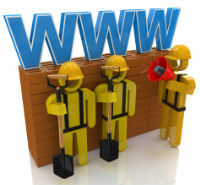 User-friendly website builders are a relatively new phenomenon. Before the arrival of free website builders like Wix and Moonfruit, you had to enlist the support of professional website builders who would often charge exorbitant amounts of money. Now it’s out with the old and in with the new as you can easily create professional websites with little or no experience required. These free website builder sites offer SEO optimization, multichannel functionality and maximum customization. And best of all – they’re free!